Before Better Call Saul debuted last year, there were rumors that Breaking Bad stars Bryan Cranston and Aaron Paul may have cameos, reprising their roles as Walter White or Jesse Pinkman. However, it was confirmed in January that they won't be featured in the first season, but as the countdown continues before the second season debuts on Monday, February 15, many fans are wondering if these beloved characters will appear this year. Variety recently spoke with Aaron Paul, who revealed that a cameo hasn't been set yet, but he's hopeful to reprise his role at some point. "Hopefully I will be involved. But I don't know when that may be. I'm not going to say anything more. But I'm absolutely open to the idea. Hopefully it happens. I'm all about it. If I were to be involved, I can promise that it would be done in the most beautiful way, because there's no way they're going to bring Jesse Pinkman back just to bring him back. They're going to bring him back and the audience is going to be very excited not just to see him, but to see how it all unfolded." A prequel to the award-winning series Breaking Bad, Better Call Saul follows down-on-his-luck Jimmy McGill (Bob Odenkirk) as he navigates the moral dilemmas of the legal world while trying to step out of his older brother's shadow and make a name for himself. Season 1 found Jimmy stumble upon a large class-action lawsuit, which led to a promising job opportunity at a large firm. Having arrived at a fork in the road, will Jimmy take the straight and narrow path with a safe corporate job or will he fall back into his "Slippin' Jimmy" con-artist ways? 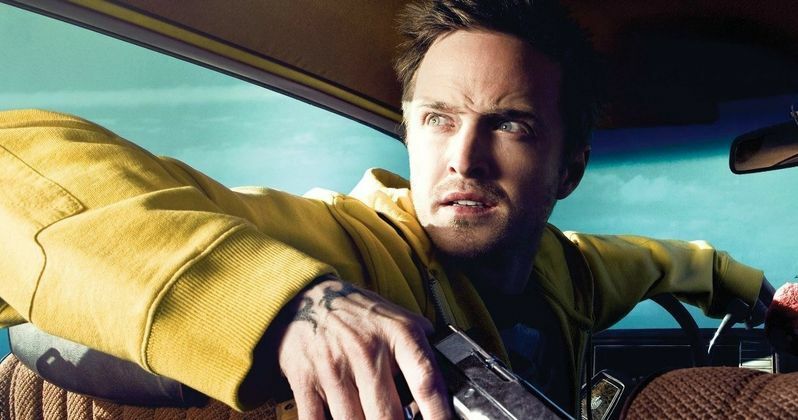 Aaron Paul revealed that he has discussed the possibility of a cameo with series creator Vince Gilligan. "We've been talking about it even before they started shooting the show. He asked if I would be open to it, and I said of course. 'Anything you're involved with, you don't even have to send me the material. I'll just say yes. I owe you my career.' I have a career because of that man. I would do anything he asked me to do."